The Perky Pet "Oasis" Hummingbird feeder is a 16 oz., versatile pole-mount or hanging model with an included brass hanging rod. 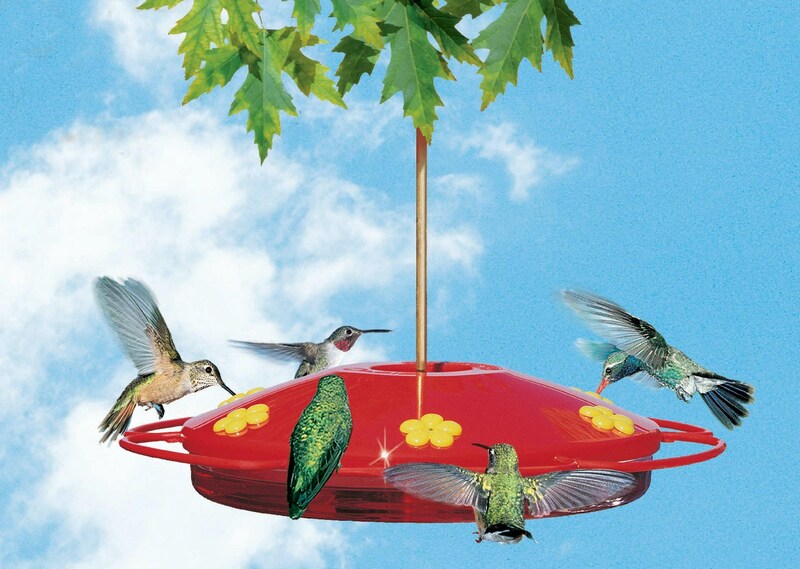 Its bright red color attracts hummingbirds and its six feeding stations and full-circle perch can accommodate multiple hummingbirds at one time. 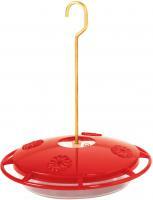 Drip-proof and shatter-proof, this is a low-maintenance and easy-to-clean acrylic feeder, a joy to own! Its see-through design also allows you to monitor nectar levels easily and lure the elusive and beautiful hummingbird to your yard. I ordered this from the label name on the existing feeder (pretty beat up by now) that was in the backyard when I purchased my home almost 8 years ago. I was glad to see this feeder was still in existence and am pleased with the appearance and apparently so are the birds! In my opinion this is the best hummingbird feeder on the market have used several in the past and needed new ones because of the fact that nothing is meant to last forever. The wind damaged my old ones. This feeder is the easiest to clean and replenish for the birds. 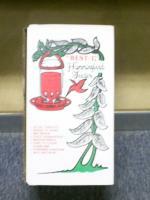 Have given some to my friends who are also hummingbird lovers,and they agree. 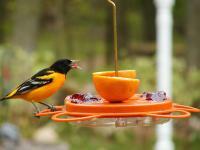 I have used this type of feeder for about 9 years. Before I had used the bottle type that builds up unwanted mold. 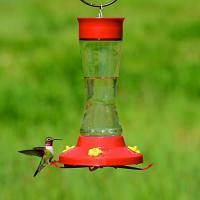 This feeder is by far the best, easy to clean, fill, and put up for our sweet little friends. This is a great feeder and the birds love it too! The hummingbirds love this type of feeder, plus, since the top clamps good to the bottom, the squirrels can't spill the nector out. It is a great product and you have super fast service! Thanks!! We like the size and appearance of this feeder - PLUS the Hummers took to it immediately. I bought this far into the season, but the hummers found it and loved it. It is easy to clean. It was the first time seeing a hummingbird actually sit and enjoy. This is a wonderful hummingbird feeder, as it has enough space for several of the territorial little beasties to land and enjoy the nectar. It can hang anywhere (we have it in front of our kitchen window, and love to watch the birds come in and "eat" while they keep an eye on us at the same time). This is great! The kids really enjoy watching the little birds feed. 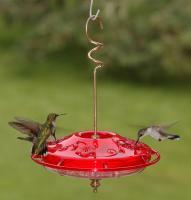 It is the best feeder that I have ever used! It is so easy to clean and fill .There is NO spilling or dripping! I'm buying more! The hummingbirds love this feeder! The perches allow the bird to sit while feeding. We get to look at the different hummers up close. Took a couple of fillings to figure the best way. Can't keep the water even in this particular style - - it doesn't hang properly. Always a lot of water on one side or the other. For the price, I would expect a better product!